Temperatures are warming, the sun is glistening on fresh powder, and families are enjoying the bliss of spring skiing in Breckenridge, Colorado. Ski in, ski out luxury condos at the base of Peak 7 enhance the experience at Grand Lodge on Peak 7 including a ski shop, ski locker room, and concierge to take the hassle out of getting on the slopes. 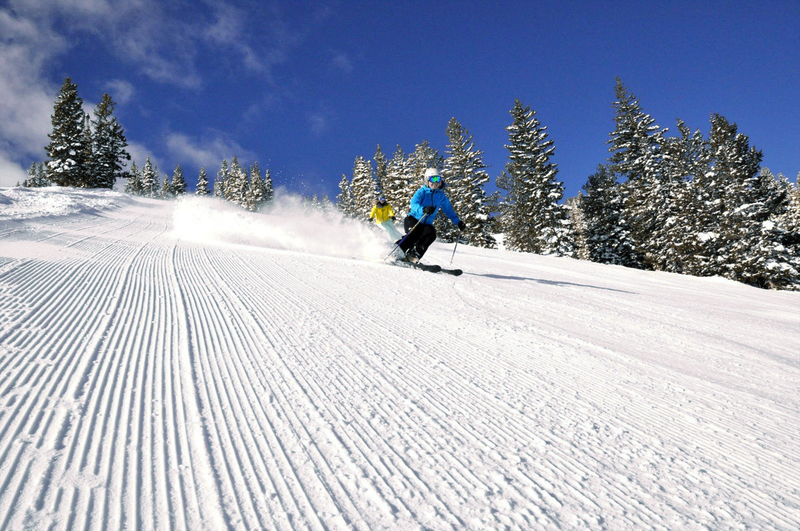 The slopes at Breckenridge offer miles of skiable terrain for all levels of skiers and boarders, meshing amazing beauty with a completely enjoyable run for any level of experience. Owners at Grand Lodge on Peak 7 have full access to all of the amenities that await after a great day of skiing, including the salt water hot tubs, steam room and sauna, full service spa for a massage, excellent restaurant on site, and a shuttle in to town where great restaurants abound amidst the historic Victorian charm of Breckenridge, Colorado. This entry was posted on March 11, 2013 by elevatemarketingaz. It was filed under Breckenridge Colorado Luxury Condo Sales, Breckenridge Luxury Condo Sales, Breckenridge Real Estate, Breckenridge, CO Real Estate, Breckenridge, Colorado Real Estate, Fractional Ownership Real Estate, Fractional Ownership Real Estate Breckenridge CO, Fractional Real Estate Breckenridge, Fractional Real Estate Breckenridge Colorado, Grand Lodge on Peak 7 Breckenridge, Colorado, Luxury Fractional Real Estate, Luxury Fractional Real Estate Breckenridge CO, Luxury Fractional Real Estate Breckenridge Colorado, Real Estate Breckenridge, Real Estate Breckenridge Colorado, Ski In, Ski Out Luxury Condo Breckenridge Co, Ski In, Ski Out Luxury Condo Breckenridge Colorado and was tagged with Breckenridge, Breckenridge Colorado, Breckenridge Colorado accomodations, Breckenridge Colorado condos, Breckenridge Colorado skiing, Breckenridge luxury condo sales, Grand Lodge on Peak 7, luxurious condos, ski in, ski out real estate breckenridge colorado, ski_in_ski_out Breckenridge condo.